Head In To Boston For These Events In March! Can you feel it in the air? We’re getting closer and closer to spring! What more reason do you need to celebrate than that? In honor of the upcoming change of seasons we’ve found the best events going on in the Bay State this March. Grab your friends, family, or significant other and head to one of these events this month! Celebrate spring, St. Patrick’s day or just head out for a night on the town, either way, these events are guaranteed to provide lots of laughs and good times! Pics In The Parks: Photography Workshop – Head over to the tennis courts in Porzio Park, East Boston this Sunday, March 3rd for an informal photography workshop hosted by the Boston Parks And Recreation Department. Participants will be taught various techniques and instructors will assign a theme to focus on each week. All ages and skill levels are welcome at this free event! The workshop is from 11 AM – 12 PM, contact lauren.patrick@cityofboston.gov to register! 2013 National Golf Expo – Even though it’s not golf season yet, all of you golfers in the area can get an early fix. The 2013 National Golf Expo is heading to Boston March 1-3 so stop by and enjoy a day of anything and everything golf! There will be exhibits, displays, interactive features, and not to mention the nation’s largest driving range and demonstration stage. 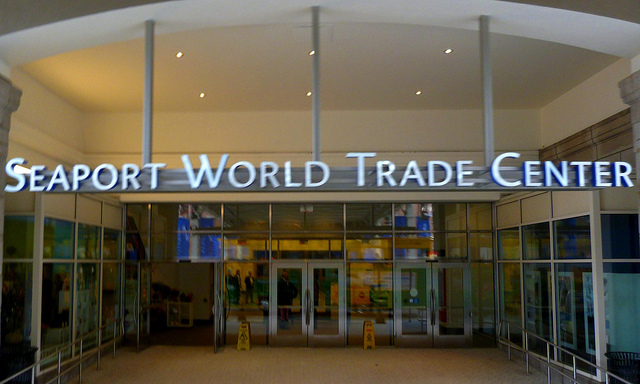 Head over to the Seaport World Trade Center for this event and pick up some tips to help your golf game and check out some of the latest equipment there is to offer. There will be great deals on merchandise and you may even stumble upon a few unique items that are typically not sold in local pro shops. Tickets are $12 for adults and can be bought at the door or online in advance, children 12 and under are free, and seniors (65+) tickets are $10 but must be bought at the door since an ID is required to receive the senior ticket price. This event will be going on all weekend so if you’re a golfer or a fan of the sport don’t miss this! “Clifford the Big Red Dog LIVE” – Help Clifford celebrate his 50th birthday this year by getting tickets to see his show! Clifford will be performing at the Wilbur Theater in Boston on Saturday, March 9th at 11:30 AM and then again at 3 PM. Take a trip to Birdwell Island where Clifford, Emily Elizabeth, and their friends will learn about sharing, respect, working together, helping others, being kind and much more. Parents, this is a great event for your little ones! Children will love learning these important life lessons through song, dance, and one of the most beloved dogs of all time. Tickets range from $17-$39 and are available through Ticketmaster. Dropkick Murphys Concert – If you’re from the Boston area, you’ve definitely heard of this Irish punk rock band. Formed in Quincy, MA in 1996, the Dropkick Murphys have been headlining events across the country for years now and are well known for hits such as “Tessie” and “I’m Shipping Up To Boston”. Now you can see them perform these hits and more LIVE on Friday, March 15th at the TD Garden. The show starts at 7:30 PM so get your tickets before they sell out! There’s no better way to celebrate St. Patty’s day than by enjoying a pint and listening to some not so traditional Irish music! There are events for everyone to enjoy in Boston! Whether you’re young, old, or somewhere in between, these events are sure to please every member of your family! Furry Friend Friday With Roxie!